What are they craving? 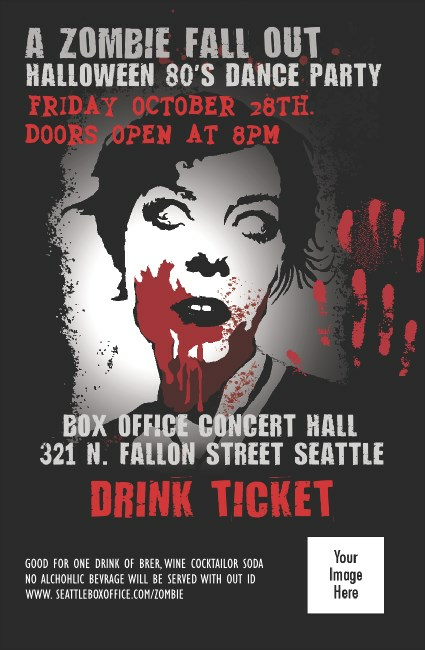 Whether it's fresh brains or a refreshing cocktail of rum, brandy, and citrus, keep your guests from biting your head off by distributing Zombie Woman Drink Tickets for your next blood-spattered event. Add your own image to this horrifying Drink Ticket template and keep the line running smoothly. Keep things lively with TicketPrinting.com.